The Upper East region is located in the north-eastern corner of Ghana, precisely located in the Kingdom of Dagbon, and bordered by Burkina Faso to the north and Togo to the east. It lies between longitude 0° and 1° West, and latitudes 10° 30′N and 11°N. The region shares boundaries with Burkina Faso to the north, Togo to the east, Upper West Region to the west, and the Northern Region to the south. 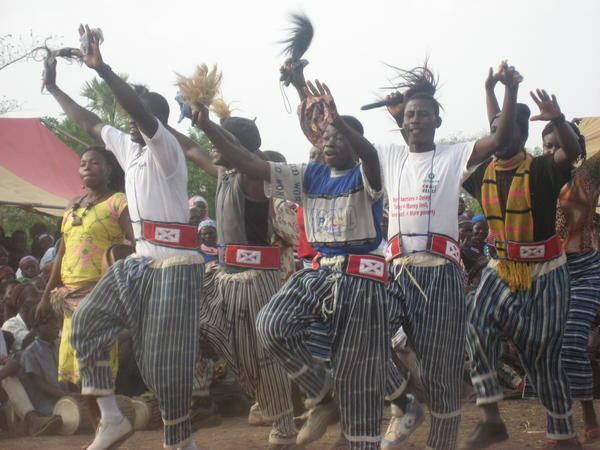 The Upper East region is divided into 10 districts, each headed by a district chief executive. The region plays host to many festivals throughout the year, most of which are either to bring a good planting season or celebrate the harvest. Bolga market - a market for farmers and livestock, held twice weekly. The center of population of the Upper East Region is located in its capital of Bolgatanga. The population is primarily rural (79%) and scattered in dispersed settlements. The rural population was 87.1 percent in 1984 and 84.3% in 2000. There was, thus, a 2.8 percentage point reduction in the rural share of the population between 1984 and 2000 and a further 5.3 percent reduction between 2000 and 2010. With only 21 per cent of the population living in urban areas, the region is the least urbanized in Ghana. In fact, together with Upper West, they are the two regions with a less than 20 per cent urban population. Ghanaian citizen by birth, childhood or parenthood constitute 92.5 percent of the population of the Upper East region. Naturalized Ghanaian citizen constitute 5.3 percent. Three national highways – N2, N10, and N11 – and a few Regional highways such as the R113, R114, R116 and R181, serve the region. The N10 originates from Yemoransa in the Central Region and connects through Kumasi in the Ashanti Region and terminates at Paga in the Upper East Region. The national capital of Accra is also connected to the region by the N2 which terminates in Kulungugu in the Upper East Region. Both these national routes are connected by the N11 which links the regional capital of Bolgatanga to Bimpiela, also in the region. The political administration of the region is through the local government system. Under this administration system, the region is divided into 9 districts. Each District or Municipal Area, is administered by a Chief Executive, representing the central government but deriving authority from an Assembly headed by a presiding member elected from among the members themselves.